Yasmine Hammamet has a little bit of a mixed impression with many with some stating the obvious “its not the traditional Tunisia” etc which is naturally true but then, is Las Vegas typical of the US? Not at all! But what Yasmine Hammamet certainly offers is one of Tunisia’s grand projects offering tourists something modern clean and purpose built. 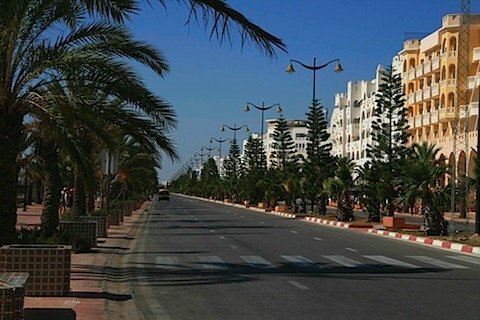 Hammamet is one of the large tourist centers of Tunisia and thus getting to it is simplicity itself from Tunis follow the highway to Sousse, and from Sousse follow the highway which will cost 1.2 dinars from Tunis and 1.6 Dinars from Sousse (2008). You can also get trains, buses and louages to Hammamet and then taxi it down here. 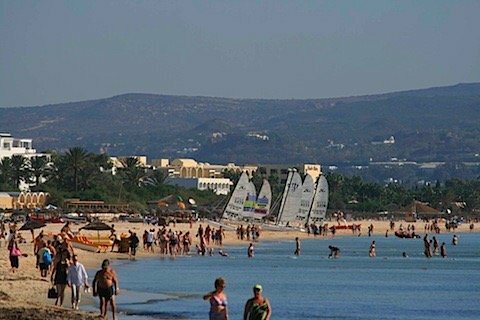 Once you’re in Hammamet, Yasmine is at the southern point of the town and is immediately recognizable. Something of an issue in may resorts/towns in Tunisia is the problem of vacant land where it is not freed up for development and can mean a large space between hotels. This is not an issue in Yasmine with the area full of new hotels which range in size from over 100 rooms to 500 plus. There is an immediate feeling of space and calm when you’re in Hammamet and, as there is only tourism here, you don’t get the hum of mopeds or the hustle and bustle of a typical Tunisian town. This for you is either a good or a bad thing ,if you’re like me and have the city life all day everyday, it offers a quiet escape for your stay and given its great transport links, if you’re bored you can always nip out to some other location. Yasmine has two places that you are likely to find yourself when not enjoying your hotel. These are the lovely new Marina and the equally impressive Medina complex. 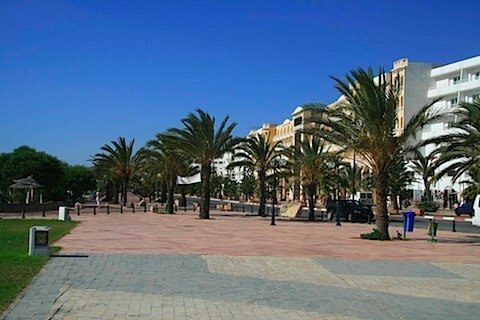 The photo above is one the main square in Yasmine where, behind me you find the Marina and, in front, you find the start of the strip which is large hotels down along the sea and then another row behind, no hotel is more than 5 minutes walk from the beach in Yasmine. 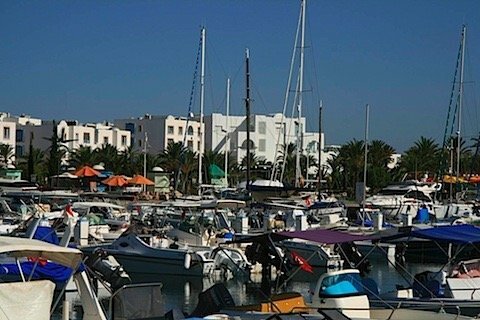 The marina in Yasmine is one of the main attractions and is certainly one of the places to find a nice restaurant during your stay here. The Marina has three main parts with wide spaces for walking about through the centre which is where you find the majority of the restaurants. Once you have been through the middle, you can then walk through the tidy gardens to the boats where there is another path and a new set of little buildings which I guess are destined to be yacht brokers/support businesses for the marina. 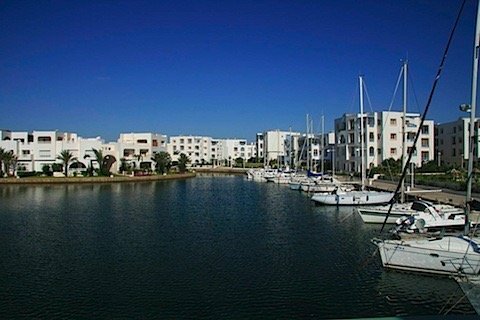 Once you have had a nice walk around, you can find behind the Marina a housing development and more moorings at the back and also access to the beach the other side. If you are interested in boating then the following are the details of the Marina. Another of Yasmine’s main attractions and a place where you will find yourselves many nights during your stay here is the Medina Complex. 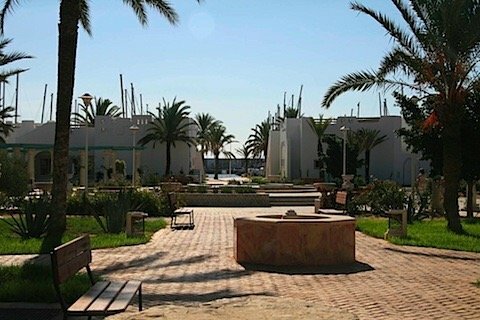 The Medina Hammamet is not unlike a town within itself and offers a Disney meets Tunisia modern version of a Arabic town. Not unlike the real thing you only see what is on offer when you walk inside the gates and into the maze of shops cafes and entertainment venues. 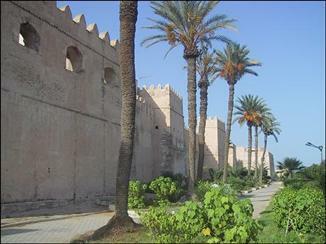 There is also a large conference center in the medina along with the famous Carthage land theme-park. 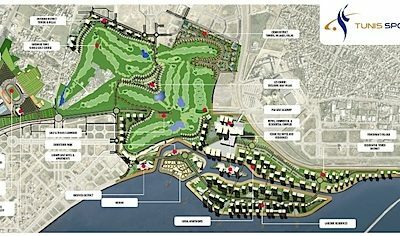 In-fact the complex is so big I have another page in the Hammamet section for it on its own which I will put live soon. Yasmine Hammamet is a purpose built suburb of Hammamet which does what is states it will do, it provides a large number of luxury hotels which are mostly modern and to an extent self contained dealing with the package holiday market for which is was primary designed to serve. 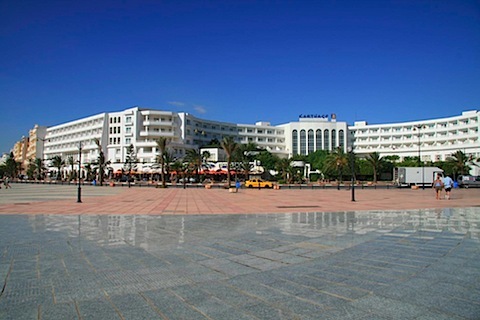 However, do not let this put you off as it is a very clean, very modern resort and if you ever want to experience anything else you can explore Hammamet, Nabeul locally or simply hire a car and take the direct motor-way drive to Tunis or Sousse. I found Yasmine to be relaxing and due to its size never to crowded and simplicity itself to navigate. Yasmine Hammamet is Hotel based and a number of people find that they spend their days buy the pool and making use of the facilities and entertainment there. 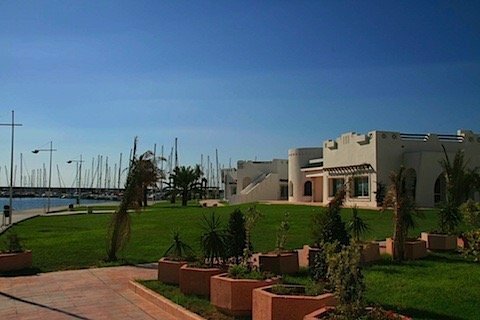 However, there are nice relaxing walks, the Marina and the Medina complex which offers lots of shows and cafe nightlife. 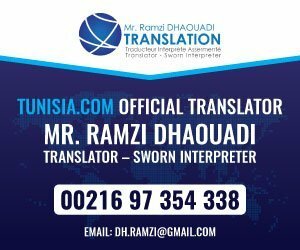 If you want clubs then a cheap taxi will take you to the Clubbing part of Hammamet which is between Hammamet and Yasmine. Yasmine Hammamet is full of restaurants and cafes and expect to pay Tunis prices for them (still cheaper and europe). The quality is good, however for authentic dishes, it may be worth visiting Hammamet if on a budget. 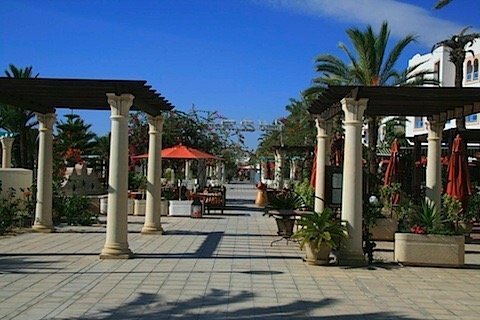 There are a selection of restaurants in the Marina and also in the Medina which can cater for most wallets and tastes. Top Tip: When eating out be careful when ordering fish by weight this is sometimes done away from the table and thus you can end up with a very expensive meal ie 50+ dinars for one fish dish!